Tema: "Metaphysics and the Linguistic Turn"
What is the kind of language that suits to the phenomenological description? Is this language able to avoid aporias that come from classical metaphysics? Or is every language essentially metaphysical? These questions have received different approaches, many of them with relevant repercussions for contemporary philosophy. Reflections on language are central whatever the work we consider in Edmund Husserl’s phenomenology. Martin Heidegger’s fundamental ontology tries to reach a primordial way of thinking by forging a vocabulary that presents the phenomena as such, while uncovering the originary meaning of fundamental concepts by means of a destruction of the metaphysical tradition. After the Kehre, Heidegger underlines the “originary words” that founded philosophy, such as logos, moira, physis, and so on, in order to reveal the “unthought” (das Ungedachte) of metaphysics, and to prepare the thinking of another beginning. Unlike Heidegger, who traces metaphysics back to a genealogy in which it becomes consolidated, Hans-Georg Gadamer rejects the very idea of a “language of metaphysics” and proposes instead the dialogue as the medium in which metaphysical assumptions may be revealed and confronted. Jacques Derrida, in turn, accuses Heidegger of not being able to overcome metaphysics, whereas the onto-theology of latter remains within the metaphysics of presence – logocentric and phonocentric. With this on mind, Derrida approaches the aporia of metaphysics through terms as trace, iterability, dissemination, difference, and non-presence. Paul Ricoeur’s discussion on the symbolic character on language and the correspondent idea of a surplus of meaning shades new lights on language and metaphysics, while Emmanuel Levinas identifies the surplus with the metaphysics itself, as the very condition of possibility of ethics. Scholars interested in presenting a paper are invited to submit an electronic abstract that fits in one of the themes of the thematic axes mentioned (named “Abstract”, format: doc or rtf, with the following information: paper title, thematic axis in which the paper is included, abstract between 400 and 500 words in Times New Roman typeface size 12, interspaced 1.5, justified paragraphs) and attach a separate title page named "Author Information" that includes the author's name, institutional affiliation, and email address. We expect participants to have 20 minutes for presentation and 10 minutes for discussion. 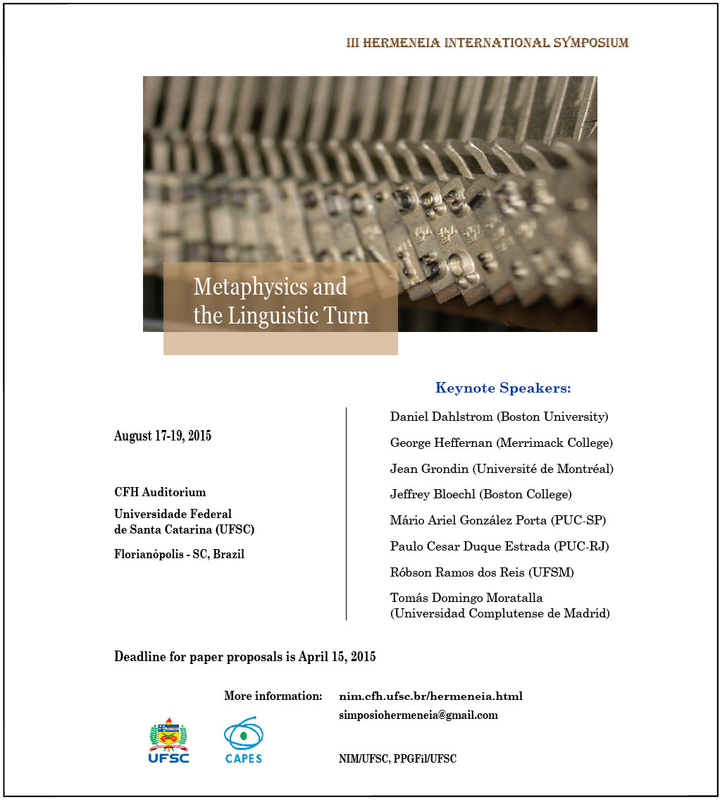 Proposals in Portuguese, English, and Spanish can be submitted by e-mail at simposiohermeneia@gmail.com;. 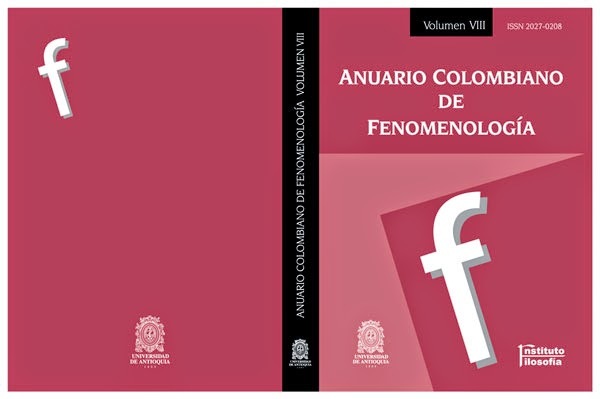 Notification of acceptance will be available at the official page http://nim.cfh.ufsc.br/hermeneia.html by April 30, 2015. Publication: All abstracts will be published in a volume of proceedings. Tema: "La actualidad de Paul Ricoeur en una perspectiva iberoamericana"
7) Serão igualmente bem-vindas traduções de textos de Ricoeur inéditas em português ou espanhol. Todas as submissões devem ser enviadas até ao dia 15 de Fevereiro de 2015. Todos os artigos, entrevistas, e traduções devem respeitar um limite máximo de 10 mil palavras (50.000 caracteres). No caso das recensões esse limite é de 2 mil palavras (10.000 caracteres). A Ricoeuriana segue as normas de edição do Chicago Manual of Style, cuja última versão pode ser consultada em http://www.chicagomanualofstyle.org/contents.html. Todas as submissões devem ser feitas através da página da revista em http://impactum-journals.uc.pt/ricoeuriana. O autor deve registar-se em http://impactum-journals.uc.pt/index.php/ricoeuriana/user/register, fornecendo o seu e-mail e dados pessoais e toda a gestão do processo será feita em linha. Todas as submissões terão direito a resposta dentro de um prazo razoável, no final do qual o autor receberá uma notificação por e-mail com a decisão final.